With landscapes filled with greenery, rolling rivers, colourful birds, awe-inspiring wildlife, and mountains taller than what many could even possibly imagine, it is no wonder why travelers find themselves flocking to Nepal, and why locals are proud to call it home. This Southeast Asian country is bordered by Tibet, India, and Bhutan, and attracted nearly one million travelers in 2017 alone! Nepal is a country that has an immensely rich history that resulted in breathtaking temples. With so much to offer, it’s hard to know what you should see when you visit! Luckily for you, I’ve compiled a list. Read ahead to discover nine of the must-see locations in one of the most beautiful countries in the world! Kathmandu is the capital city of Nepal, and there’s a reason why the city’s slogan is “Once is not enough.” It is a huge tourist destination, and there is no wondering why so many people are drawn to it! Kathmandu is most popularly known for the beauty of its numerous religious sites and temples. These exquisite and colourful places of worship attract many tourists each year, but they are also where large numbers of Hindus and Buddhists go to respect and worship. As with all other capital cities, Kathmandu is not lacking in its shopping, nightlife, and street food, including “Momo”, a type of savoury and delicious dumpling and the ever-popular samosas. While in Kathmandu, make sure that you head to Durbar Square, which is where Nepal’s King was crowned in 1768. Annapurna Region is an area of Nepal that almost seems as if Mother Nature herself created it specifically to be explored. Annapurna offers all different kinds of treks, ranging from a few days to a few weeks. 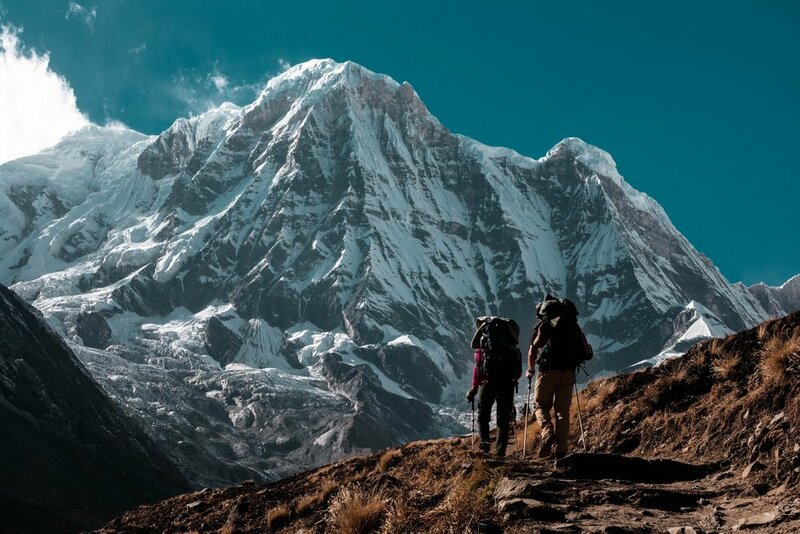 The longest trek, the Annapurna Circuit, can take hikers up to 21 days to complete. The drastic range in altitudes allows for varying weather conditions, so if you plan on tackling the entire Circuit, make sure to plan and dress accordingly! Luckily, these conditions also allow for all different types of landscapes including valleys, forests, and even partially-frozen waterfalls. Of course, you can also expect to see lots of plants and wildlife! With so many trails you might be worried that getting lost is easy, but there is no reason to fear as there are multiple guides available to help make your hike as smooth, safe, fun, and beautiful as possible. Swayambhunath is one of the many temples located in Kathmandu, and as you can probably guess from its alternate name (and the cute picture above), it is inhabited by hundreds of monkeys. As with all wildlife, it is suggested to keep a safe distance from the resident monkeys, but visitors are more than welcome to observe them sunbathing, running around, and even taking dives into the fountain. In fact, these monkeys are so well-respected that many people will actually feed them! Swayambhunath is an incredibly colourful temple and the roof is painted with two large eyes to resemble an omnipresent god. Built all the way back in the fifth century, this temple is very important to Buddhists and is one of the many temples you should add to your trip, especially if you’re already planning on heading to Kathmandu! Lumbini is one of, if not the, most important sites to Buddhists, as it is said to be the birthplace of Siddhartha Gautama, more widely-known as Buddha. Lumbini consists of a number of different temples and pagodas, one of which is called the Maya Devi Temple. This temple is dedicated to Buddha’s mother, and is the specific temple in which he was born. With all of these temples, as well as the gardens that are as colourful as the buildings themselves, it is comfortingly easy to discover a sense of peace and tranquility and Lumbini. Devi’s Fall, also known as Davi’s Fall or David’s Fall, is the waterfall just before the Pardi Khola stream disappears under the earth. It gets its name from a heartbreaking tale of a Swiss couple who fell into the sinkhole and subsequently drowned. Regardless of this tale, it is entirely safe to visit this amazing waterfall as there have since been guardrails installed to ensure that visitors keep a safe distance. This waterfall is in full-force immediately following monsoon season, which falls between the months of June to August. This beautiful site is incredibly easy to access, being only a two-kilometer walk from the Pokhara airport and is reached by a partially-paved path. While Devi’s Fall isn’t a particularly time-consuming activity, it is still very worthwhile to take the time to visit! Bhote Koshi is undeniably the most adrenaline-providing location on this list. This area is a part of the Koshi River, and is fed from the snow melting off of the Himalayas. Bhote Koshi is absolutely stunning in and of itself, but the best way to fully take in its beauty is by daring the waters. If you’re a thrill-seeker, then there are endless options for you here! This is the location of the third-highest bungee platform in the world. At 500 feet high, braving this jump will give you a birds-eye (and up-close) view of the mountains, greenery, and beautiful glacial waters. White-water rafting and kayaking are also offered, but be careful; the difficulty for the rafting can get up to a level 5, so it isn’t quite suitable for beginners. Bhaktapur is one of the three royal cities of Nepal. It was developed on the trade route to Tibet, and its isolation helped it develop in an entirely unique (and beautiful) way. Unlike Patan and the aforementioned Kathmandu, which have largely Buddhist populations, Bhaktapur is mostly Hindu. 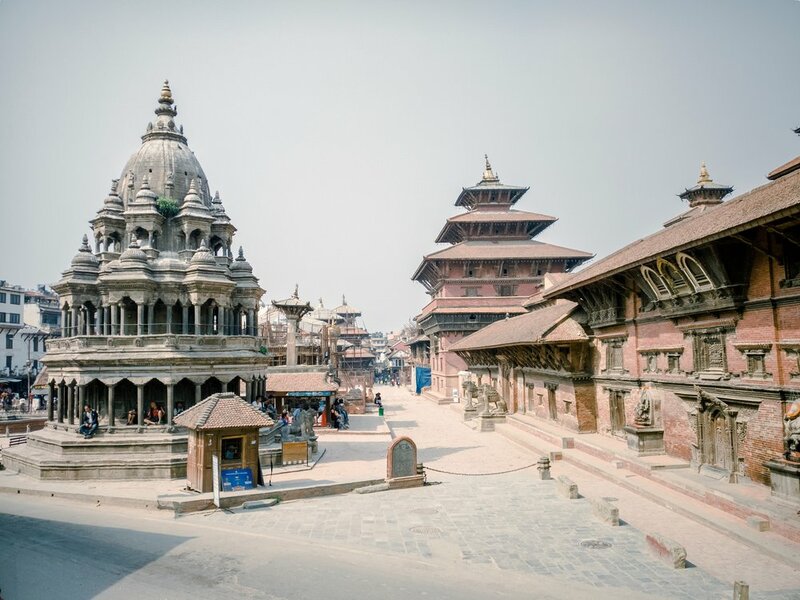 Durbar Square is the most bustling spot, as it is the location of the royal palace and many other temples. One of the most endearing qualities of Bhaktapur are its numerous local shops. The shop owners sell items such as handmade puppets, masks, and pottery, as well as any other souvenir you could imagine! It also boasts beautiful architecture (as shown in the photo above!) and some distinct and wonderful art. Come on, you know I had to include the famous Mount Everest in this list! But I do feel the need to give a disclaimer… this is known as being the most dangerous mountaineering expedition in the world, so please only attempt to tackle it if you’re very experienced. The highest peak of the mountain is 29,029 feet, and there are not many people who are able to make it all the way to the top. That being said, it is also one of the most captivating, rewarding, and beautiful treks, even if you do not make it all the way. If you are not equipped (physically or financially - it can cost up to $85,000!) to tackle this two-month long excursion, first: no shame, as most people aren’t, and second: there’s another way you can get up-close to the mountains without such a large risk! There is also an hour-long flight option available that takes you 22,966 feet in the air. This allows you to view the mountains in all their glory, without the full commitment of the trek! No matter what though, make sure that you see the Himalayas in some form. Which, honestly, is an easy task, as you can view them from just about everywhere in Nepal! Let us know all about your experiences in Nepal, and where you think we should explore next time we’re there!